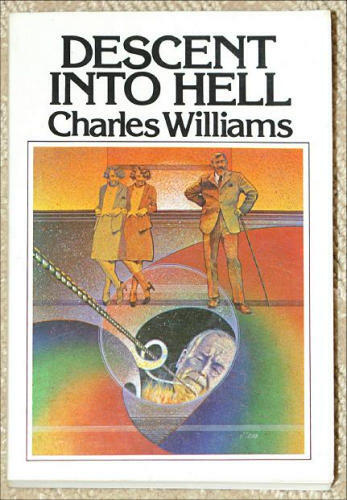 Perhaps you have never read the works of Charles Williams, but you want to give him a try. Where should you start? That depends upon your reading taste. Do you prefer novels, plays, theology, poetry, literary criticism, or biography? Let’s start with novels. 1. War in Heaven employs the most straightforward plot and intelligible writing style. It opens with this delightful sentence: “The telephone bell was ringing wildly, but without result, since there was no-one in the room but the corpse.” If you like murder mysteries, though, don’t be fooled: CW teases that genre almost out of recognition. I’ve written about that here (reprinted here). 2. Many Dimensions, a companion-piece to War in Heaven, in which the Stone of Solomon functions like Doctor Who’s TARDIS. 3. The Place of the Lion is a fantastic romp with the Platonic archetypes let loose in rural England. It’s my favorite; you could start here if you are a veteran reader of fantasy and/or a student of philosophy. 4. The Greater Trumps explores magic and coinherence through the Tarot cards and a set of dancing figures. It has an unforgettable snow-storm scene and a beautiful submitted saint character. 5. Descent into Hell is CW’s prose tour de force. It integrates all his distinctive themes: substitution, simultaneity, silence, serenity, the unity of body and soul, and the power of poetry (Williams once employed the name of its playwright-hero, Peter Stanhope, as a pseudonym). The characters discuss timeless Christian doctrines in fresh diction, without platitudes. The pacing of events is admirable, with cycles of intensity alternating with passages of vague visionary stasis and tranquil revelation. 7. Shadows of Ecstasy was published third but written first. It is his weirdest novel and contains the most disturbing uses of magic without any narrative condemnation. The evil magus is a charismatic, attractive person. That’s why I suggest reading this novel last, after you have gotten to know his mature, spiritually edifying style. Or you could skip it. They are his masterpiece. These dense, crystalline, lucid volumes of verse were published together with Arthurian Torso (which contains the prose Figure of Arthur and C.S. Lewis’s commentary); here is the edition I recommend. 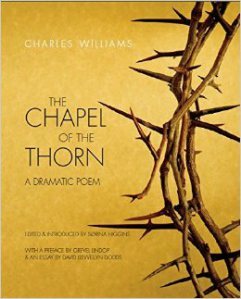 Lewis offers helpful glosses and a simplified reading order, because the poems are arranged according to thought-patterns rather than chronology. Here is the series of blog posts I ran on Taliessin through Logres, by many guest bloggers with a wide variety of writing styles. Or you could start with his earlier poems, some of which are Arthurian, in what I think is his first volume of good verse: Heroes and Kings. It’s not too expensive on amazon in this reprint by Apocryphile, which also contains the original (often disturbing) woodcut illustrations by Norman Jones. Williams’s plays, theology, and literary criticism also offer surprising readings of life and literature. His plays are high drama of the spirit, with some reaching heights of spectacle. The Masque of the Manuscript is a hilarious occasional piece written for and performed by his office-mates. It is to the publishing house what Dorothy Sayers’ Murder Must Advertise is to an advertising firm. It’s an early work, written at the peak of his love for Phyllis Jones, during the Once and Shining Moment of coinherence at Amen House, the London office of the Oxford University Press where CW created, inspired, and enacted a workplace mythology. 4. The Figure of Beatrice. This is ostensibly literary criticism, but is really his last, great, integrative work of theology, literary theory, and poetic vision all together. In it, he presents a mature view of the Romantic Theology he had formulated as a young married man, right before Phyllis Jones tore his universe apart. It is a meditation on Dante, but brings in most of his distinctive themes for examination and inspiration. If you are especially interested in his personal life, there are two collections of letters: To Michael from Serge (to his wife during the six years of separation) and Letters to Lalage, a revealing correspondence between himself and one of his female disciples, with commentary by the lady. There are my recommendations. Please leave me a comment letting me know which books you read first and what you think of them. He also wrote lots and lots of other poetry, plays, articles/essays, book reviews (especially of detective fiction), and biographies. At some point I will post a full bibliography by genre with publication information and so forth. Then I will begin going through his works in chronological order, writing a summary/commentary on each one. Finally, I will write reviews of the major scholarly studies of CW’s life and works. Stay tuned!